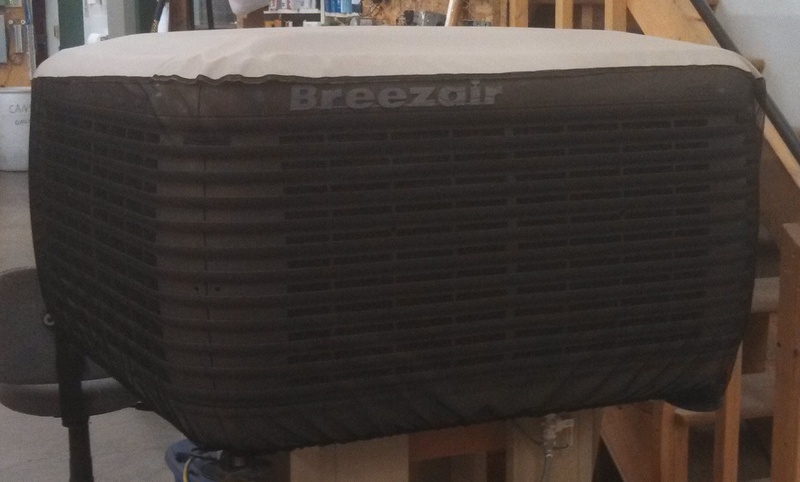 Mesh Swamp Cooler Cover | Prevents Unit From Clogging | A/C Covers Inc. Your “Swamp Cooler Mesh Cover” is specially designed to prevent your unit clogging from cottonwood. The top is constructed of beige vinyl and the sides are black mesh. This mesh cover CAN REMAIN on the unit while it is in use.